Australia’s treatment of asylum seekers and refugees has generated voluminous criticism, despite the secrecy surrounding what goes on inside detention centres. 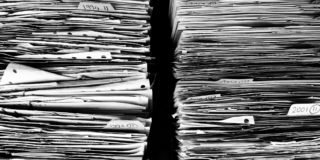 From senate inquiries to court hearings, newspaper reports, academic papers, protests, and international petitions, the coverage of Australia’s offshore processing regime has been damning to say the least. 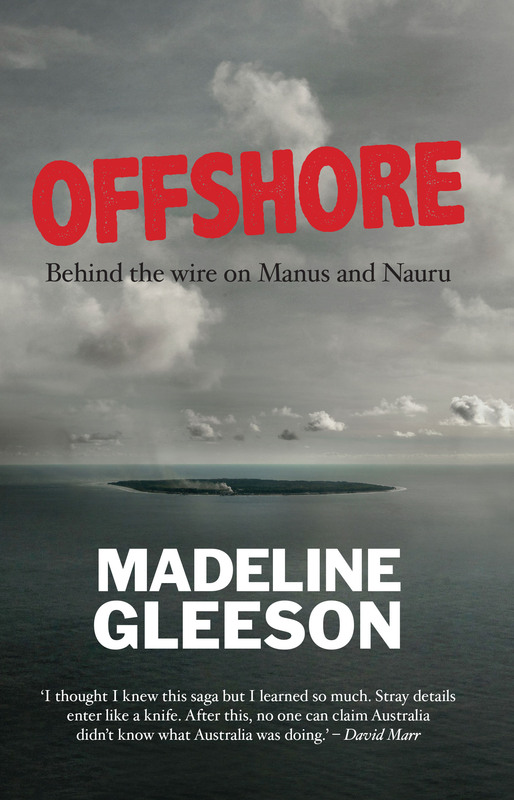 Winner of the Non-Fiction Award at the Victorian Premier’s Literary Award, Madeline Gleeson’s Offshore: Behind the wire on Manus and Nauru is the latest addition to this criticism, bringing to light the shameful ways in which Australia has treated people fleeing persecution. Its focus is on the first three years of offshore processing since its second incarnation in 2012 under the Gillard government, the so-called ‘Pacific Solution’. Divided chronologically into four sections, Gleeson presents an illuminating narrative of the events that have occurred in detention on both Nauru and Manus Island, highlighting how abhorrent the conditions are. The book offers insight into what life is like for both asylum seekers and refugees on Nauru and Manus, as well as what the staff in the offshore detention centres have been forced to witness. The main difficulty is no longer in getting information. It is working out where the truth lies among the many, disparate and largely unverifiable accounts of what is happening behind the closed doors of government and the high fences of the offshore centres. Gleeson writes in a remarkably lucid style, which is both articulate and free from the sentimentality that usually feeds into writing on this issue. 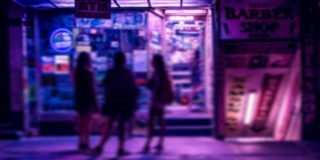 This isn’t to say that her writing is without passion or agenda; Offshore simmers with undertones of palpable accusation from the beginning to end. 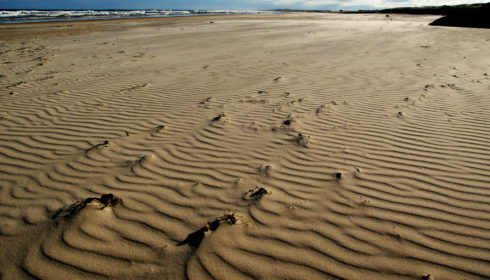 It is uncompromising in its portrayal of Australia’s offshore policy. Despite this, or perhaps because of it, her writing allows the key figures to emerge at the forefront of the book, quoting liberally from her sources as well as government documents. Gleeson’s writing is strengthened by her ability to let the evidence and facts speak mostly for themselves. 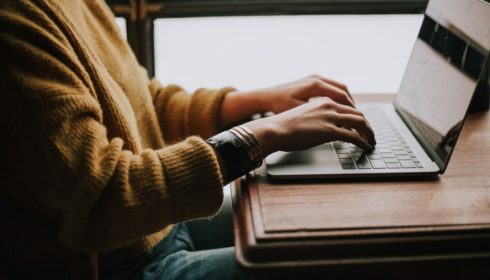 As she states in the introduction to the book, the vast majority of her source material is, for the most part, freely accessible online, and it has been for quite some time. This is the true strength of Offshore. Gleeson arranges excerpts from hundreds of reports and testimonies into an uncompromising, coherent account. To read each gruelling first-hand testimony, one after the other, is to realise how truly devastating Australia’s treatment of asylum seekers and refugees has been. It is simultaneously informative and absolutely shattering. Throughout the book, Gleeson asks of the future of asylum seekers: if they cannot settle in Australia and cannot return to their home country, then where are they supposed to go? 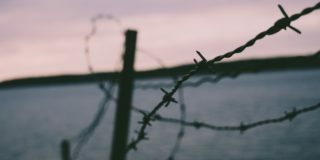 According to refugee activist Ian Rintoul, even those whose claims are processed successfully are essentially confined “against their will, as a permanently deprived underclass, with no future”. Gleeson notes the lack of integration services and the limited mental health services available to help refugees deal with their experiences of detention. The book’s premise is simple: it recounts the events of the past five years through the voices of those who have lived through them. Offshore navigates the complexities of international law, jurisdiction and the abrogation of responsibility from our governments, as well as their wilful neglect. While the book contains little information that is not already covered to some extent in discourse surrounding asylum seekers and refugees in Australia, it is rare to have it all collected in one space. Offshore is both comprehensive and compelling, though difficult to read at times due to the horrifying subject matter. It is an unflinching and stunning work of synthesis, and should be read by every Australian. 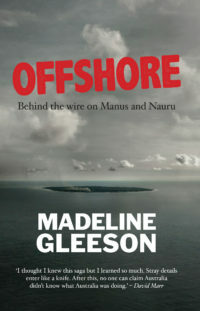 Offshore: Behind the wire on Manus and Nauru is now available from NewSouth Books.